Modern commerce is complex, and stores need a robust retail management system on their side. Here’s how Dynamics 365 can help retailers get and stay ahead. The Dynamics 365 suite is split up into definitive, themed CRM and ERP apps, each covering various aspects of business operations. Many of these apps offer features essential to running a modern retail business; Dynamics 365 for Sales helps businesses engage with customers and process sales, Dynamics 365 for Marketing features tools for marketing automation, Dynamics 365 for Finance and Operations helps companies manage their finances, and Dynamics 365 for Talent supports hiring and human resource departments. However, the suite also includes an app specially built for retailers. Dynamics 365 for Retail rolls together features for managing the front and back end of a modern retail business, alongside some industry-specific tools. Modern retail is a complex industry; there is no cookie-cutter image of what a retailer is, what they sell, where they sell, or how they connect with their customers. The internet has blown the retail ecosystem wide open, and with customers able and willing to shop anytime, anywhere. With customers active on so many platforms, retailers need to be able to reach those customers to make the most of every available opportunity. With so many arms to any retail business, retailers can often find themselves employing a range of piecemeal solutions and software to meet their needs. This disjointed approach can mean that companies are losing valuable time, and even more valuable chances to analyze and learn from their business data. Whether a retailer operates online, through third-party e-commerce platform, via brick and mortar stores, or a combination of all three, Dynamics 365 for Retail is built to help retailers optimize their processes in every area of their business. Microsoft has a lot of experience producing solutions for the retail industry. The company has not only developed several CRM and ERP solutions in the past 25 years, but also created a dedicated retail management system known as Microsoft Dynamics RMS. The solution was discontinued in 2016, with mainstream support ending for current Dynamics RMS users. The system was taken off the shelf, replaced by Dynamics 365 for Retail, an intelligent, cloud-focused retail management app. Retail is incredibly multifaceted; retailers must juggle operations, inventory merchandising, and staffing, keep a watchful eye on performance, and operate across multiple channels, all while putting customer experience at the forefront of everything they do. To be able to compete, retailers have to offer dependable service across brick and mortar locations, call centers, kiosk, and e-commerce and mobile platforms. Finding a holistic solution that not only manages but unifies front and back operations, and optimizes every area of the retail life cycle sounds like asking a lot. 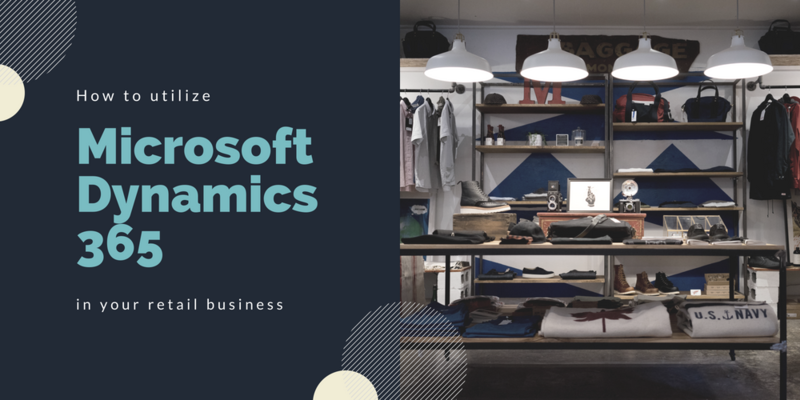 Let’s take a look at how Dynamics 365 for Retail can help businesses rise to the top in the face of the challenges of modern retail. With customers using numerous touch points to browse, purchase products, and interact with retailers, businesses need to have a system which allows users to marry and manage every avenue of their operations to create seamless experiences for their customers. According to a 2017 report by UPS, 43% of retail purchases are researched and completed entirely online, with a further 36% of sales going through multiple channels, for example being reviewed online and bought in-store, or vice versa. Dynamics 365 for Retail promises to help users deliver a consistently outstanding experience for shoppers across stores, web, mobile, and contact centers by creating a familiar, reliable cross-channel platform through which customers can buy anywhere, and collect anywhere. This multi-platform mobility is essential for retailers to thrive in the era of modern retail, according to Eleanor Walsh, Regional Sales Manager for UK and Ireland at Sana Commerce. The app also aims to give customers flexibility and freedom beyond the checkout, allowing them to locate items saved online in stores, collect orders from alternative locations, or arrange home delivery with Retail’s optimized ordering and fulfillment features. Being able to deliver a compelling, consistent service across multiple channels has proven extremely valuable when it comes to customer retention; research by Aberdeen Group found that companies with strong omnichannel customer engagement retain around 89% of their customers, compared to 33% for companies with weak omnichannel engagement. Each facet of your retail business can be as unified or as individual as you need it to be; locations can have their own payment methods, delivery methods, pricing, discounts and expense accounts. No matter how you choose to divide up your retail channels, you can be assured that every avenue will always be accurate, with inventory counts updated in real-time. With so many options available, and so many businesses vying for their attention (and their cash) consumers have more than a modicum of power in the modern retail industry. Busy customers want personalized experiences, and they want to feel valued by the businesses they’re patronizing. Couple those expectations with the fact that due to a vast array of choices at their disposal, customer loyalty is not as easy to maintain as perhaps it used to be, and the need for businesses to have a robust strategy in place to meet these growing expectations is clear. It’s easier than ever for unhappy customers to voice their dissatisfaction in the public arena, and increasingly more challenging to turn one-time customers into long-term buyers, and create organic brand ambassadors. Engagement must be consistent across a range of touchpoints, and these touchpoints must all integrate to create a seamless shopping experience, or retailers risk facing a lot of “abandoned carts”. Being able to offer a personalized experience is what sets brands apart from their competitors, with adopters of machine-learning technology and AI already making strides ahead in customer engagement. With Dynamics 365, retailers can offer a truly unified experience, using tools like brand apps that allow customers to to browse a retailer’s catalog easily, and can also show the customer personalized recommendations based on previous purchases and wishlist items. This custom experience is enabled by the app’s comprehensive customer profile, built on a foundation of notable trends, behaviors, desires, and buying habits pulled from customer data. Customer activity data can be used to offer tailored promotions when in the vicinity of a brick-and-mortar location, or even let the customer know that an item on their wish-list is in stock, or on offer. Use of these so-called “beacons” in retail has been shown to increase the likelihood of a purchase being made by as much as 73%. On the other side of Dynamics 365, the sales associate can look up details not only about a product a customer may be interested in, but also get information about purchases the customer has made previously, and items on their wish lists, to generate more opportunities to cross-sell. The sales associate can also use the system to check inventory at other stores, order items in for the customer to collect, or arrange delivery to another address. The app also features core customer loyalty features, such as the ability for customers to earn and redeem points, use gift cards, and redeem promotional coupons across every channel your business operates in. Dynamics 365 for Retail provides personalized experiences not only for customers, but also employees. Organizational structure can be clearly illustrated by designating departments, jobs, positions, and reporting responsibilities. The app also empowers employees by giving them access to a self-service portal through which they can view assigned tasks, responsibilities, and schedules. Employees can also arrange shift swaps and covers directly. Thanks to e-commerce and mobile optimization, a retail business has to be open 24/7. A customer’s journey from browsing through to checkout should be as seamless as possible to prevent drop-offs, and downtime or disruptions to service can be enormously costly for retailers. Dynamics 365 for Retail is built on and powered by the Microsoft cloud, so not only is it simpler to deploy than your typical, locally-hosted ERP systems, but it also benefits from the intelligence, flexibility, and speed that comes with cloud computing. One of the biggest advantages of using Dynamics 365 in the cloud is that the app will always be up to date; no downloading updates or patches for every machine on which you’re using the program. Microsoft rolls out updates for Dynamics 365 automatically, with minor fixes every month, and more-significant feature updates and additions twice a year. “Microsoft Dynamics 365 has a specific retail module for point of sale,” explains Walsh, “which enables retailers to centrally manage their merchandising, inventory and channel management processes.” This integrated Point of Sale (POS) system that can be operated on-premise (mPOS), or through the cloud (cPOS) via a wide range of devices, such as mobile phones and tablets, across Windows, iOS, Android, and in web browsers. 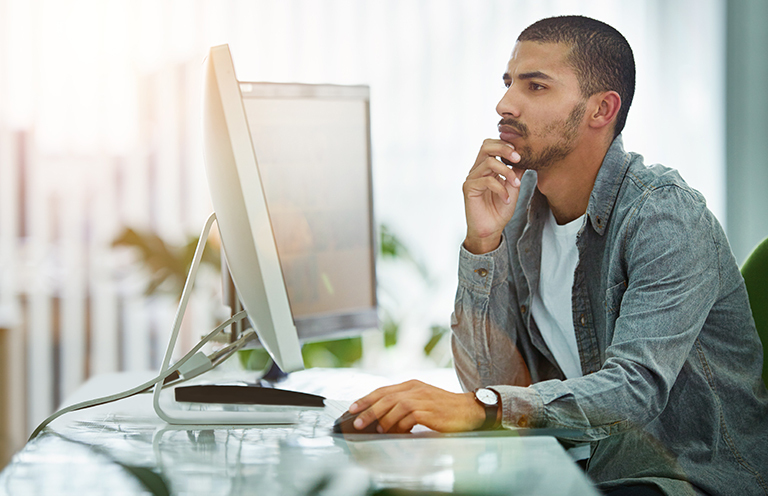 Both deployment options offer a range of interfaces to help users manage a variety of business scenarios. Everything about Dynamics 365 for Retail is designed to keep your store running smoothly, make processes more efficient, and ensure nothing slips through the cracks. To help your team keep track of and prioritize their duties, tasks such as assisting customers, processing transactions, or performing stock counts can be delegated through the mPOS app on any device. Store associates will then be notified of their assignments, and can also receive automated notifications when other areas require attention, like when an order arrives, or a product needs restocking. Dynamics 365 for Retail allows users to centralize their operations, removing store- and channel-based siloes, and giving employees a clear overview of order statuses, customer profiles, and inventory levels. This enhanced visibility helps team members stay up-to-date with the information they need to offer exceptional service. Inventory lookup features enable users to locate stock in their own store and warehouse, as well as those of other locations, and check an item’s replenishment status. The app connects to Microsoft’s Common Data Service for Apps, meaning that Dynamics 365 for Retail can be quickly and seamlessly integrated with not only other apps in the Dynamics suite, but also Microsoft products like Cortana, Office 365, Outlook, and PowerBI. This feature also allows users to take advantage of Microsoft Flow, an automated workflow builder which enables the app to be integrated with third-party programs and services, without the need for custom development. In addition, users of Dynamics 365 for Retail can create their own apps in a few clicks, using PowerApps, a drag-and-drop platform through which organizations can build custom mobile and web apps to help them engage with and empower their customers, code-free. Dynamics 365 for Retail is backed by Microsoft’s Azure cloud, ensuring retailers can enjoy maximum security, robustness, reliability; Microsoft has a zero downtime goal for Dynamics 365 for Retail customers. Microsoft has recently improved the app’s offline capabilities to make sure POS devices function without interruption, even during the event of service outages or updates. In a fast-changing world, businesses need to be able to react quickly, and make swift decisions. Those businesses who really flourish, however, are the ones with the tools to put themselves on the front foot, and make proactive choices based on real-time data and insight-driven forecasting. Dynamics 365 uses machine learning to derive and present practical insights and offer actionable next steps, so you’re always ahead of the curve. By digesting and learning from the data that’s inputted into it, the app can make predictions that will help you make better decisions about things like purchasing, budgets, and staffing based on real data and past events. Customizable, intuitive business intelligence dashboards help businesses process their most valuable asset — customer data — through detailed reports on scheduling, time tracking, and sales. These insights can then be used to power automation, giving your staff more time to focus on customers. The use of chatbots in retail is rising, with businesses employing the AI-driven presences to help customers find products, and get information about policies and processes quickly. Utilizing this feature in Dynamics 365 for Retail improves customer experience by pointing customers in the right direction, and frees up real customer service agents to deal with more complex matters. Microsoft’s latest rallying cry about its Dynamics 365 apps is that they work “great on their own, and even better together”. To that end, there are several ways you can purchase Dynamics 365 for Retail; either as part of a plan, or as a standalone service. There are plenty of reasons why a retail business might want to utilize Dynamics 365 for Retail as part of a broader Dynamics 365 plan. There are many other apps in the suite that could be useful to a retail business. Dynamics 365 for Customer Service can help retailers connect with their customers and resolve issues, particularly if they do a lot of business through e-commerce. Dynamics 365 for Sales can help manage leads and optimize their sales processes. PowerApps allows organizations to easily build and deploy their own apps to create a better customer experience and foster engagement. However, Microsoft also appreciates that a company’s operational processes are often a complicated web of interdependent programs, and it’s not always possible for organizations to replace them all at once. Allowing customers to purchase individual apps enables them to start small, and leaves the door remaining open to adding in other Dynamics 365 apps at a later date. Ready to get started with your digital transformation? The key to an effective roll-out is having an expert on your side. Upload your specifications, and we’ll find the right Dynamics 365 professionals to make your implementation a success.